During his career, Alexander prosecuted more than a thousand trademarks, was involved in hundreds of IP-related administrative proceedings, and litigated dozens of civil law cases in Russian courts. Alexander is recognised by Best Lawyers, Who’s Who Legal, IP Stars, WTR 1000, WIPR Leaders, Leaders League calls him “excellent” patent and trademark litigator and “highly recommended” for IP prosecution. • computer programs, databases, and microcircuits. Alexander is a member of INTA, AIPPI, LESI, ECTA, MARQUES, RUCPA, and ITIPLGE. He is fluent in English with basic knowledge of Spanish. Alexander graduated from the Moscow State Academy of Law, arguably the best-regarded law school in Russia. Later, he completed his PhD program at the Russian State Academy of Intellectual Property, the only academic body in Russia specialised in IP. He has also attended various continuing education courses such as WIPO’s Madrid System Seminar, PCT School by the Russian Chamber of Patent Attorneys, and more. Alexander started his career with Pepeliaev, Goltsblat & Partners, the largest Russian law firm back then, which later split into Pepeliaev Group and Goltsblat BLP (currently Bryan Cave Leighton Paisner). Later, he became an associate in Yakovlev & Partners, a well-known Russian general law firm with a dedicated IP practice. At the beginning of 2011, he was employed by Gorodissky & Partners, the biggest IP firm in Russia, where he practised both litigation and trademark prosecution. From there, he moved to Patentus, a local IP house that at the moment held the second place in Russia by the workload in trademark prosecution and IP litigation. Alexander was in charge of all inbound and outbound international matters. Daria completed an LLM course at the Higher School of Economics. She also worked at another IP firm. Daria speaks English. Oleg has the background of software and hardware engineering and mainly deals with IT patenting, licensing, and analysis. He is “highly recommended” for IP prosecution by Leaders League. A co-author of the Intellectual Property course at the Open Technology Academy, Oleg is also a regular speaker at various events for developers, lawyers, and start-uppers. He is also a registered agent at the Eurasian Patent Office. He is a member of AIPPI. Oleg’s working languages are Russian and English. He is a prize-winner of numerous mathematical academic competitions and skill contests. Oleg has studied information technology for ten consecutive years. His first education was in a mathematics college in Moscow, where he was qualified in software for computing machinery and automated systems. Then, he graduated from the Moscow State University of Instrument Engineering and Computer Science. Afterwards, he defended his PhD thesis at the same university, having chosen the subject of research and modelling systems. He has also completed some independent courses such as General Course on Intellectual Property (DL101R) and Copyright and Related Rights (DL201R) at WIPO. Oleg’s first employment was at the world-famous Kaspersky Lab as a software engineer. He then went for Skolkovo, a government-supported innovation cluster that is called the “Russian Silicon Valley”, where in four years, he grew from a middle-level position to the head of IT patent practice. He also had the experience of traineeship at Thomson Reuters in London (for patent landscaping, in general) and Arent Fox LLP in New York (for drafting IT patent applications). For a couple of years, Oleg practised as the managing partner of his own firm before partnering with Baranchikov. Elizaveta graduated from a law school. She speaks English. Maria’s areas of expertise are contractual, corporate, labour, and international private law. In recent years, she has specialised in consulting transnational IT start-ups on cross-border and local legal issues, including technology-related matters. Maria’s theoretical legal research mainly concentrates on East Asian legal systems, and particularly Japan, where she has numerous academic publications, and also extends to blockchain-based legal and financial solutions. Maria is a Vice-Chair of Cyber Crime Committee at International Technology Law Association (ITechLaw). She is advanced in English, intermediate in French, and has basic knowledge of Spanish. Maria is a second dan black belt in Shotokan karate. Maria graduated from the Moscow State Academy of Law, which is considered by many to be the most reputable law school in Russia. She wrote her PhD thesis at the Private International Law Institute — a special and very prestigious division of the law academy. Maria is currently a researcher at the Institute of Legislation and Comparative Law under the Government of the Russian Federation. She started her career with the Moscow office of Salans, a multinational law firm which later merged into Dentons. Then Maria continued her legal work at Herbert Smith Freehills, a “Silver Circle” firm headquartered in London. After that, she worked for three years as a lawyer at Magnusson, a Scandinavian and Baltic region law firm from Sweden. Since 2015 and before co-founding Baranchikov, Maria had her private practice, mainly dealing with IT companies. Anna graduated from Moscow State University. She is fluent in Mandarin Chinese and advanced in English. In addition to outside counselling, Elena has a strong in-house background in several different industries (education, telecommunications, natural resources, transportation, and dredging), which allows her to understand her clients’ business objectives deeply. Experienced in due diligence, compliance, regulatory, and financial law issues, she also represents clients in corporate and general litigation matters. She is a certified translator from English and German. Elena is an oil painter, specialising in battle pieces. Elena’s first graduation was from the Astrakhan State University where she studied the English and German languages as a translator. Then she completed her full-time legal studies at Moscow State University, the most prestigious university in Russia in general, and one of the two best law schools in the country. Now she is receiving her third education at the Moscow State Academic Art Institute pursuing her hobby as a fine artist. Until early 2006, Elena had worked as an in-house counsel for major companies such as YMCA Camp Letts (Maryland, USA), Huawei, Saipem UK Limited, and Codralux S.A.
After that, she practised law with Moscow offices of famous international law firms, starting with White & Case, the world’s number one firm for global M&A by deal value, and later, Salans (currently part of Dentons). Before joining forces with Baranchikov, she had more than five years of solo practice. After Gubkin University, he worked at PepsiCo as an IT engineer. Marina is a patent, trademark and design attorney practicing in the intellectual property field since 1988. She is a certified expert of the court. She is a member of the Russian Chamber of Patent Attorneys. Marina graduated from the Saint Petersburg Mining University in 1980 as a geodetic engineer. She received her training in the patent sphere at the Russian Academy of Intellectual Property in 1991. In 2013, Marina was certified as an expert of the court by the Russian Ministry of Justice. Marina had been practicing law for 22 years as a partner of her patent firm before joining Baranchikov. Maxim is a patent professional with 10+ years of wide experience in the fields of IT, mechanics, and oil & gas. Galina is a trademark and design attorney practicing in the intellectual property field since 1987. Galina is a member of the Russian Chamber of Patent Attorneys. She first graduated in Kaluga city in 1977, and then — from the Moscow State Institute of Culture and from the Russian State Academy of Intellectual Property in 1994. Galina worked with patents, designs and trademarks at the Institute of Physics and Power Engineering and then, since 1996, at a patent firm, before joining Baranchikov. Eugenia advises on copyrights and IT contracts, represents clients in the Chamber for Patent Disputes and courts; she has good understanding of intellectual property, IT law, and antimonopoly regulations. Eugenia speaks English. She graduated from the Moscow State Academy of Law. Eugenia previously worked as a lawyer at Rambler & Co, a Russian search engine and one of the biggest national web portals. Alena is a patent engineer with an IT education from the Moscow Engineering Physics Institute. She speaks English. Natalia has been responsible for patent and trademark searches and prosecution since 2001; she also works on IP transactions and advises on general intellectual property matters. Natalia first graduated in 2000 in Sumy (Ukraine) and then also received her diploma in IP — with honours — from the Kharkiv Polytechnic Institute. She worked as an in-house patent and trademark specialist in Ukraine and Russia. We publish flat fees for our core practice services in Russia, the CIS and neighbouring states (13 countries in total). Fees for IT advice and other services, not mentioned in the schedule, are provided on a case-by-case basis. Our fees are final for the quoted services (coherent preparatory advice is covered), include all applicable taxes, and are valid throughout 2019. The official fees can change at any time which will be reflected online. The fees are given in euros, but we can also bill in US dollars, pounds sterling, Chinese yuan (renminbi), or Russian rubles. You can download the latest printer-friendly version — of 17 January 2019 — as well as the power of attorney form. 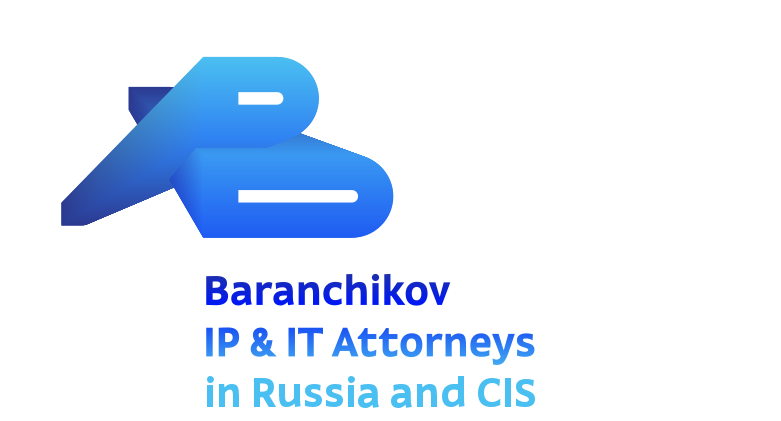 We are Russian lawyers who both handle contentious matters and advise on cybersecurity and data protection; we are IT patent attorneys dealing a lot with data science technologies; we are believers in that clients do not need an attorney, they need results. And thus, we strive to achieve results, whether by means of law, or technology — such as through data analysis performed by machines that, in some tasks, are already better than people and keep getting smarter — which we use in the most responsible way. If you want to understand our approach to transparency and ethics, please take a look at our Data Security & Privacy Notice. That is not your typical wall of boring legal text; it is a longread, but if you are like us, you may find it not just useful but even fascinating. Our office is in the building where the Eurasian Patent Office is headquartered after the RUIPO has moved from this masterpiece of Rational Art Nouveau by F. Schechtel. The entrance to the building is across the street from the driveway of St. Regis hotel; there is the Eurasian Patent Organization plaque on the right from the door. Please pass by the security guard, take the elevator to the 2nd floor, and enter the central door of the floor, just opposite the elevator, to reach the reception area.